Configuration management is one of the most essential (if not the most essential) function served by mobile device management. 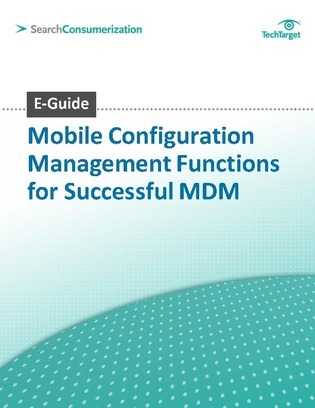 But before diving in and simply selecting a few configuration management functions, you first need to evaluate your organizations needs and guidelines to make sure you are getting the most out of your MDM solution. In this expert guide from SearchConsumerization.com, you'll get a detailed look at the considerations you need to take concerning your configuration management. Read on to learn more.